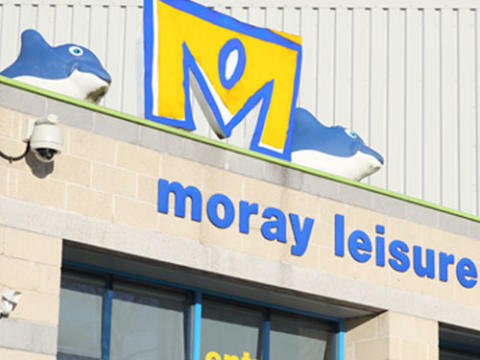 The immediate future of the Moray Leisure Centre was secured today after councillors approved a recovery plan proposed by High Life Highland who have been engaged as consultants since January. The beleaguered facility has been in difficulty following the long-term absence through sickness of its manager and senior staff. At a meeting of the full Moray Council, four options were put before elected members to resolve the future of the centre. 4.Agree a one-year extension of lease, renewable on a rolling monthly basis to implement the recovery plan provided by High Life Highland consultants with regular reporting to councillors. After a lengthy debate members selected option four as offering the best future for the centre, the 55 staff and Moray residents. The current lease requires an annual support payment of £698,000. The recovery plan includes the availability of an extra £120k over two years to cover additional costs, used only if needed. It projects that council funding could start to reduce once the plan is fully implemented, which is expected to be in 2020. Management support for the period of option four recovery plan will be provided by High Life Highland, with account management support from Highlands and Islands Enterprise. Meantime memberships at the centre can expect a boost by the inclusion of the council’s successful Fit Life programme to the facilities at the Moray Leisure Centre. Members were told that closure of the centre would incur costs and have a significant negative impact on the area’s sport and health provision. Should the council have opted to take over the running of the centre, there would be additional costs such as the loss of business rates relief, major capital investment in equipment, and the cost of transferring staff.